This entry was posted in art/write, Poetry, Secrets, writing and tagged desire, Leva Cafe, lust, Poetry, romance, valentines. Bookmark the permalink. Laurie: your “About the Poets” is not for the faint of heart! I’ve never had such an introduction. Thank you! Looking forward to the event, and I’m honored to be sharing the microphone with all of you! thanks, kelly. i did use a bit of poetic licence. (in fact i think i may have channeled some michael gravel there for those bios …) and btw, i just sent out a group email re the proceedings. 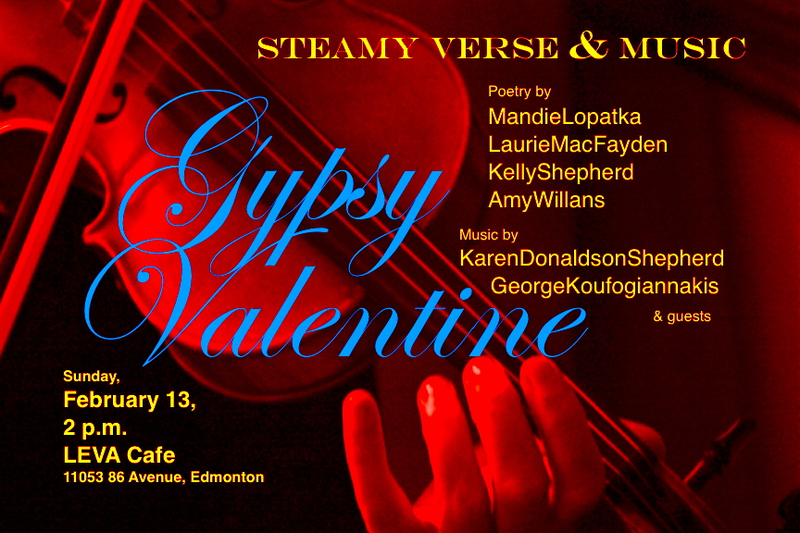 we are gonna rock that gypsy caravan!